The DMO is responsible for day-to-day management of the UK Government's debt. 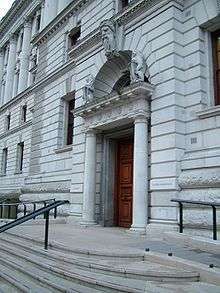 It is tasked with carrying out the UK Government's debt management policy of minimising financing costs over the long term, taking account of risk, and managing the aggregate cash needs of the Exchequer in the most cost-effective way, in both cases consistently with the objectives of monetary and any wider policy considerations. It also manages the Public Works Loan Board and the Commissioners for the Reduction of the National Debt. In institutional terms, the DMO is legally and constitutionally part of HM Treasury, but as an executive agency. It reports to the Commercial Secretary to the Treasury although it operates at arm's length from Ministers. The Chancellor of the Exchequer determines the policy and financial framework within which the DMO operates, but delegates to the Chief Executive operational decisions on debt and cash management, and day-to-day management of the office. The DMO was established on 1 April 1998. The change was implemented following the incoming Blair Government's decision to give the Bank of England independence in setting monetary policy. Prior to the establishment of the DMO, management of the Government's debt was undertaken by the Bank of England on behalf of the Treasury.